On a wet August morning Alan Hopkins walks briskly around the dirt pathways of Golden Gate Park. This is where, a few months before, he last heard the sound: a resonant “cow‐cow‐cow,” the call of a lone male California quail looking for a female mate he will probably never find. Hopkins, an artist and former Golden Gate Audubon Society president, has a pair of binoculars around his neck as he circles the handball courts. He stops talking every few sentences to crane his neck and listen. “I’m sure it’s just sitting in a bush somewhere going, ‘I’m lonely,’” he says. 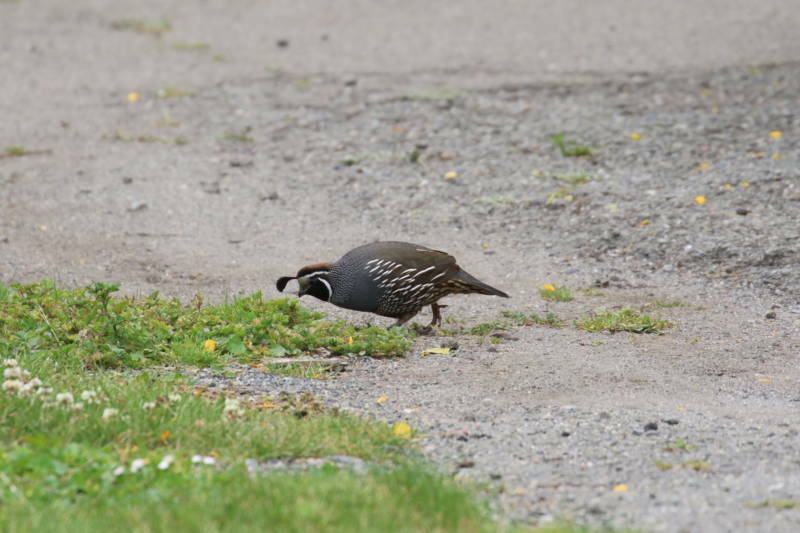 Hopkins is in search of a quail named Ishi, believed to be the city’s last survivor of its species. This iconic creature, with the stature of a small chicken and the bravado of a peacock, is the state bird of California and the official bird of the city and county of San Francisco. A century ago, thousands of quail strutted around dusty clearings in the Presidio and Golden Gate Park. But despite a grassroots effort in the 1990s and 2000s to save San Francisco’s quail, they disappeared from the Presidio in 2008. In Golden Gate Park, birders like Hopkins have occasionally sighted this one lonely bird, stubbornly staked out in the bushes next to the handball courts. 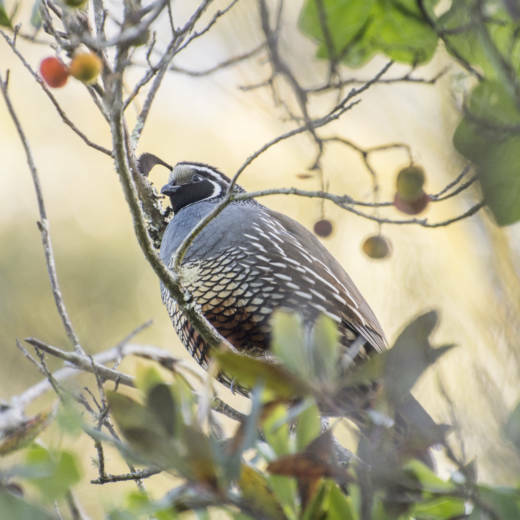 The current executive director of the Golden Gate Audubon Society, Cindy Margulis, says the disappearance of the city’s quail is a cautionary tale about the delicate balance between native species and urban development that all too often ends in local extinctions. As a species, the California quail is not in trouble. Its preferred coastal scrub is ubiquitous up and down the coast and it’s known to be fairly tolerant of human activity and development. When San Francisco sprang up around the native quail population, the birds found refuge in green spaces such as Presidio and Golden Gate Park. As the city grew through the 20th century, quail habitat underwent dramatic changes that threatened the quails’ very survival. There was an influx of non‐native predators, like feral and domestic cats, and a decline in of top‐of‐the‐food‐chain predators, such as coyotes, that had kept the birds’ main threats in control. Invasive grasses took over their preferred food sources of seed‐producing plants. Their favored bare ground clearings with nearby brushy cover were either paved or taken over by nonnative vegetation. In the ‘90s, quail numbers in the Presidio hovered between 20 and 30. By 2003 it was down to just a couple. The Golden Gate Park population was suffering a similar decline. Tracking surveys show that in the late 2000’s show that two Presidio quail made their way down to Golden Gate Park and mated with the last female there. In 2008, park officials turned the last known Presidio quail—named Fajita—over to the San Francisco Zoo. Noting the quail’s steady decline, Hopkins and a group of concerned birders from the Golden Gate Audubon Society mobilized a grassroots campaign called Save the Quail in the mid‐ 1990s. They lobbied the city’s Board of Supervisors for protections, helped replant the quail’s favorite vegetation, conducted breeding population surveys, and pushed for pet owners to spay and neuter cats to quell the feral cat population that some believed was key to the birds’ disappearance. In 2000, supervisors declared quail the official bird of the city and county. But ultimately, it didn’t do much good. Wildlife biologist Jonathan Young says we may never understand it completely, but it was likely a combination of things that caused quail to all but disappear: a dangerously small population, habitat change and nest predation pressures. Hopkins agrees that maybe it was just too late. “When the population’s already declining, then it’s sort of like you’re adding water to the ocean,” he says about their efforts. Yet Hopkins and other bird lovers haven't given up. They've found a spark of hope in the Presidio, where a plan to reintroduce quail is under discussion. Since the Presidio became a National Park in 1992, restoration efforts are turning the area wild once again, bringing back habitat that makes species’ reintroductions possible. Three years ago, the park appointed Young as its first wildlife biologist. 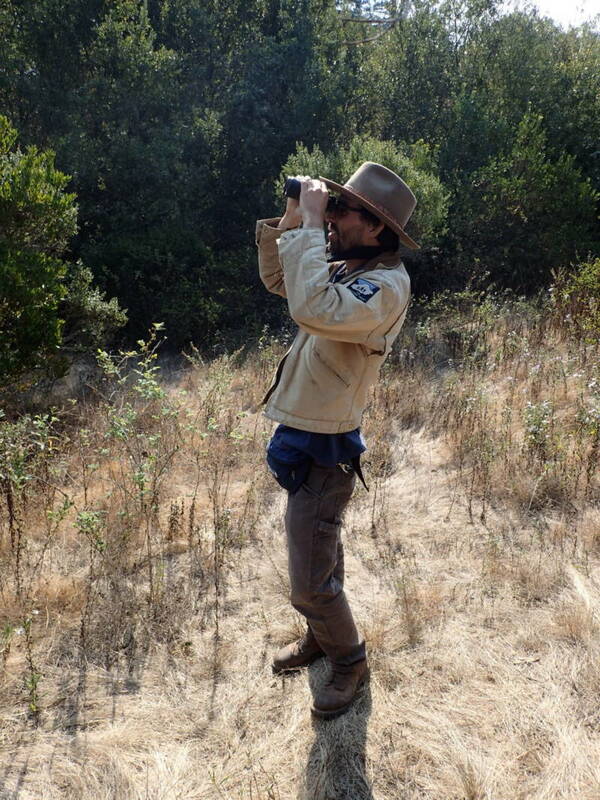 Presidio wildlife biologist Jonathan Young. He thinks the time is ripe for a new effort to bring quail back to the city, though reintroductions in urban ecosystems are rare, usually done with plants and invertebrates. So far, the Presidio has reintroduced the three‐spined stickleback fish, the Pacific chorus frog and the variable checkerspot butterfly. Young acknowledges that a quail reintroduction would require a measured approach that would likely span many years. But he believes that this time around the quail’s predators will be kept in check by the return of coyotes to the city—a reopening of the quail niche. While there may not be coveys scurrying around anymore, take a walk by the handball courts sometime and maybe you’ll hear a lonely call from what many hope won’t be the last quail in San Francisco.